"Who carries the light?" I heard the rapid fire questions whispered in the night. “Who carries the light? Who carries the light?" A child does. 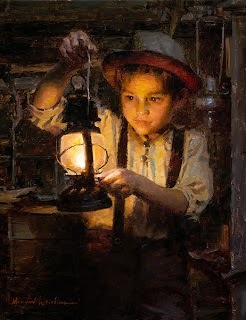 A child carries the light. "A child does? How can a child carry the light? A child is small. A child is simple. And THIS light is very important! THIS light is full of glory and weight and power." Did you not know? . . . He chose the simple to confound the wise.